A combination of Single Pot Still & Single Malt whiskey that was initially matured in American ex-Bourbon barrels before being finished for nine months in a Deau XO Cognac Cask. These French oak Cognac casks came from the Allaryand family cooperage and have been seasoned for up to 15 years in Deau XO. Resulting in a whiskey with a sweet summer berry & dark chocolate notes. LIMITED TO 1 BOTTLE PER PERSON. Aromas (without water) Succulent notes of poached pear, summer berries, hints of freshly pressed grapes and citrus zest. Palate (without water) Creamy smoothness with rich chocolate undertones. This is a fine whiskey, which strictly speaking is a blend but only contains pot still whiskey and m..
Natural Non Chill Filtered, 53%, Limited Edition to only 2640 bottles only worldwide, matured i..
A CWS Exclusive of the Writers Tears Copper Pot Deau XO Cognac Finish. 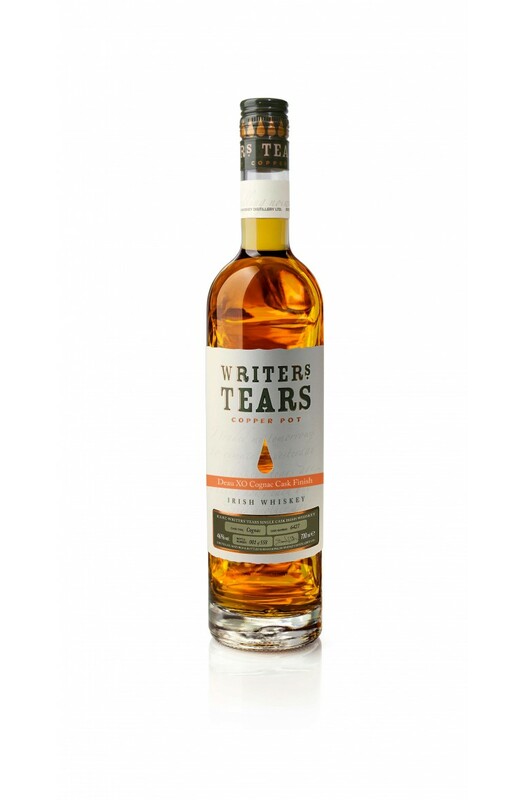 This single cask was finished..
Another delicious release from the Writers' Tears range, the Writers' Tears Copper Pot ..